So you want to pick up some extra cash from the comfort of your own home, setting your own hours? You may have considered joining a multi-level marketing company, like Avon, Mary Kay or Beachbody. These types of businesses, also known as direct-sales companies, sign you up to sell various goods from makeup to candles to cell phone service. 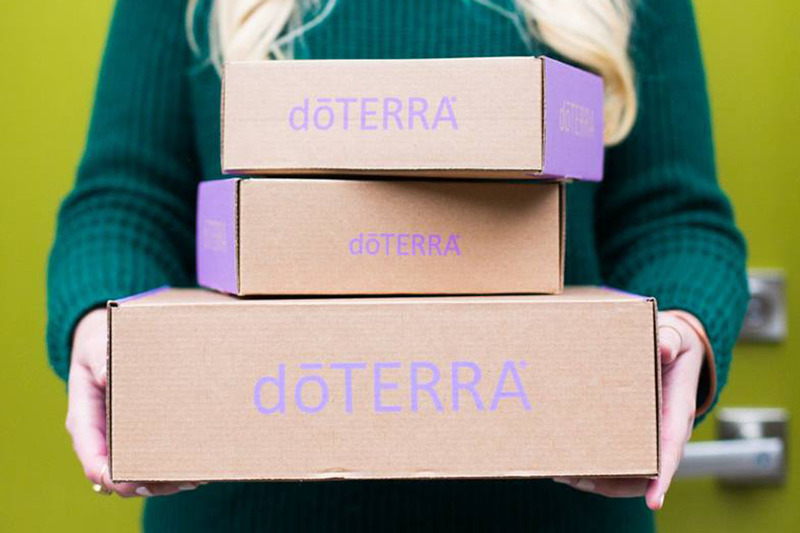 You receive a portion of sales as your profit, and you also earn money if you sign others up to join the company — and earn a portion of what they sell. There are pros and cons to turning to this line of work as a way to earn income. Some direct-sales businesses, like LuLaRoe and Herbalife, have gotten into hot water due to problematic products and shady business practices. Before you sign on the dotted line — and fork over the (sometimes hefty) start-up fees — there are some things you might want to consider. First things first, know what your intentions are with taking up this money-making endeavor. Are you doing it to earn a little extra money as a side gig? Are you in need of a way to supplement your income and are relying on this to pay the bills? Do you want to escape from your 9-to-5 and hope this will provide you with a full-time salary replacement? The Better Business Bureau warns promises of high earnings — especially with little time, effort or serious commitment — are red flags. Though money is usually the main motivator when going into business, it’s not always the only benefit. Beachbody coach Kalie Meyer told The Penny Hoarder there were financial and social rewards to joining the direct-selling group. “You’re always encouraged to be bettering yourself,” she said. Many people are dissatisfied with their direct-sales experiences because they put more money into the business than they saw back in profits, so make sure you accurately evaluate the expenses. Go beyond the initial start-up fee. which could be as low as $35 to sell essential oils with doTERRA or as high as $5,000 to onboard with LuLaRoe. You often have to buy products and attend training meetings and conferences throughout the year. Also consider the expenses that will go into hosting parties to sell goods and to recruit new members to join your team. Don’t forget to factor in the value of the time you’re investing into building the business. The Federal Trade Commission advises not to rush into signing a contract to join at an “opportunity meeting” but to take your time to decide. Just as you would do before buying into a franchise or hopefully before accepting a job offer with a new company, take due diligence and research the business and the products it sells. The BBB is a great place to start. Ask yourself — do their practices and policies line up with your values? Are they selling a product you would buy yourself? Consider the product’s quality and read reviews from customers who’ve bought and used the goods. Also, does the items’ price point match your potential audience? How much money did you make last year (income minus expenses)? What percentage came from recruiting other distributors? So what happens if you sign up with a multi-level marketing company but your experience isn’t what you thought it’d be? The BBB recommends you clarify contract cancellation and product refund policies before joining, and the FTC advises you get those return policies in writing. The selling point of these direct-sales businesses is generally that you’ll get to enjoy financial freedom, so don’t get sucked into a situation where the opposite happens. Your Turn: Have you considered going into direct sales? Nicole Dow is a staff writer at The Penny Hoarder. She loved attending conferences when her sister was a part of a multi-level marketing company, but she never joined herself.